I have been sitting on some pretty exciting news for the past few weeks. My husband and I are taking an unexpected trip to LA in two weeks so I can run the runDisney Super Heroes Half Marathon in Disneyland California! This will be our first trip to Disneyland - to say we're excited is an understatement. Not to mention, I grew up as a huge Marvel fan and this is one race that has been on my runDisney bucket list ever since it was announced in 2014. Growing up, my Mom did not watch Princess movies with me - we read Comic books. As an adult, I do not complain about going to see movies with Chris Hemsworth, Chris Evans. Tom Hiddleston and Robert Downey Jr. 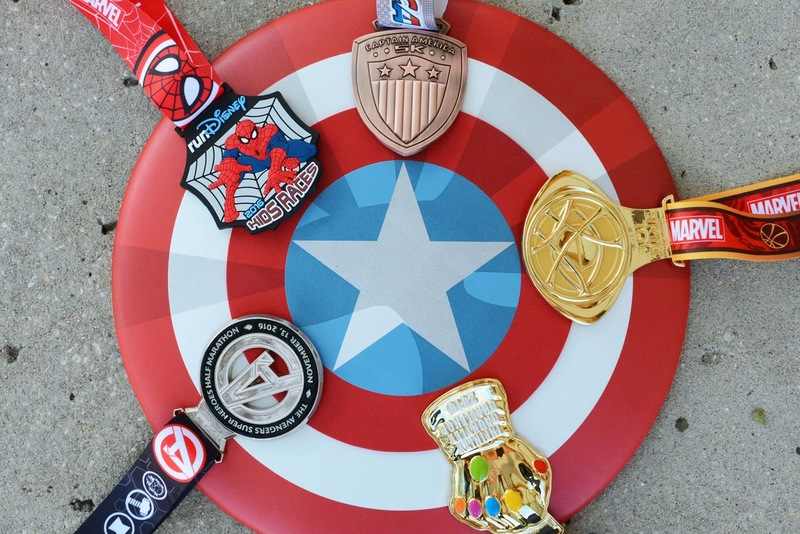 Both the Super Heroes Half Marathon and the Infinity Gauntlet Challenge have spots available if you want to join the Mightiest Heroes on the most extraordinary course on Earth! The recent announcement of Pasta Party and a Movie during Disneyland Half Marathon weekend has to be one of the coolest pre-race parties runDisney has done to date (read here for my recap on Pasta in the Park at Princess Half Marathon). Following theme of the Doctor Strange 10K (which is sold out unless you do the Gauntlet Challenge), those who chose to partake in the Pasta Party will get to attend a private film screening of Doctor Strange followed by a buffet dinner with entertainment during the Super Heroes Half Marathon Weekend Pasta Party! The question of the day is - what on earth am I going to dress up as during this race? I usually have months to figure this out.